Doing workout is practically a habit nowadays. It stopped long time ago being just a caprice or a trend, it is actually, a healthy life style now. Along with the gym bag you also need a proper gym equipment. And of course, among the gym’s equipment, a very important role it has the sport bra. It is true that on the market, you can find a lot of models and colors, but, if you would ask me, I advise you to purchase something that will suit your actual gym equipment. Because, isn’t it right, you should be trendy at the gym too. The sport bras might feel a little “unusual” but once, you get used to, you won’t be able to imagine a day without them anymore. When you are doing your exercises at the gym, your breasts will suffer if you won’t take care of them. 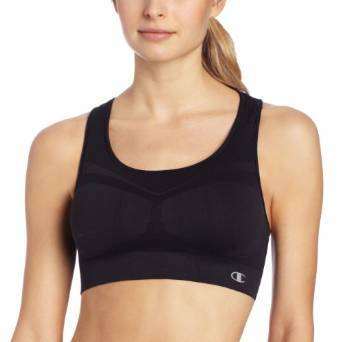 A sport bra will give you great protection and you will feel very comfortable. They are designed to handle sudden movement and motion, to offer maximum support and to hold breasts firmly. They also have the important quality of avoiding breasts pain. Considering the ample moves you are making at the gym, there is always the danger of sagging. Sport bra prevents sagging. If you are a little shy, it will also help you avoid all the staring. Another aspect that can’t be neglected is that it is an excellent barrier between your breasts and your skin. This way you can prevent rashes and skin burn. One thing that I’m sure it will make you very happy is that you will never have to worry about the straps needing realignment. 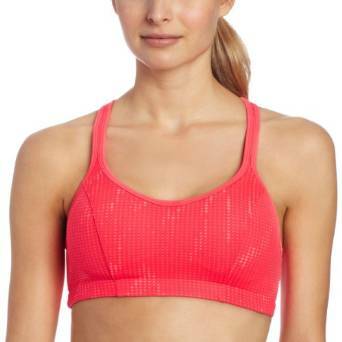 If you recently suffered some kind of surgery or injury, a sport bra will also be very helpful. You must know something very important too: a sport bra can also be worn as a top. Many experts are stating that a sport bra is more healthy and comfortable instead of a regular bra. This might be surprisingly at first, but once you’ve tried one you will know what I mean. Always ensure that your breasts are not spilling out of the cups because you will suffer great pain episodes later.